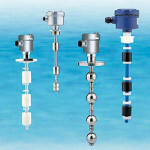 Categories: Level Switches, Liquids, Marine Certified, Slurries. 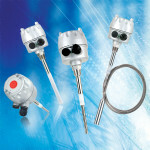 Tags: float type level switch, level switch, liquid level switch, side mounted float level switch. 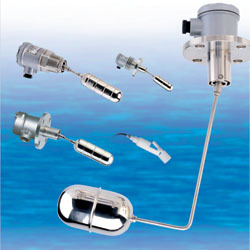 The FF series is a side mount magnetic float level switch product line consisting of rugged, industrial grade float level switches using the principles of buoyancy and magnetism to provide high, low and intermediate level detection of fluids with specific gravity ranging from as low as 0.25, thereby ensuring a very wide range of application and use. A change in fluid level can correspondingly cause the float to travel up or down. 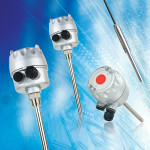 The FF series side mounted magnetic float level switch product line incorporates SPDT reed switch or SPDT microswitch output and are available in stainless steel or polypropylene wetted materials. 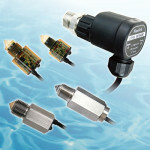 Marine certification and explosionproof versions are available. Wide range of liquids with minimum density of 0.25 S.G.